For over a decade, Flight Club New York has been a go-to destination for sneakerheads and tourists alike to buy and sell every type of sneaker imaginable. A Disneyland for sneaker lovers, Flight Club New York boasts over 4,000 kinds of sneakers on display — including rare and second-hand kicks. Sneakers continue to be big business. In 2017, athletic footwear in the U.S. pulled in $19.6 billion in revenue, according to NPD. However, retail sales of sneakers not the only business in town. The sneaker resale market in particular is booming, with some estimating it to be worth approximately $6 billion. 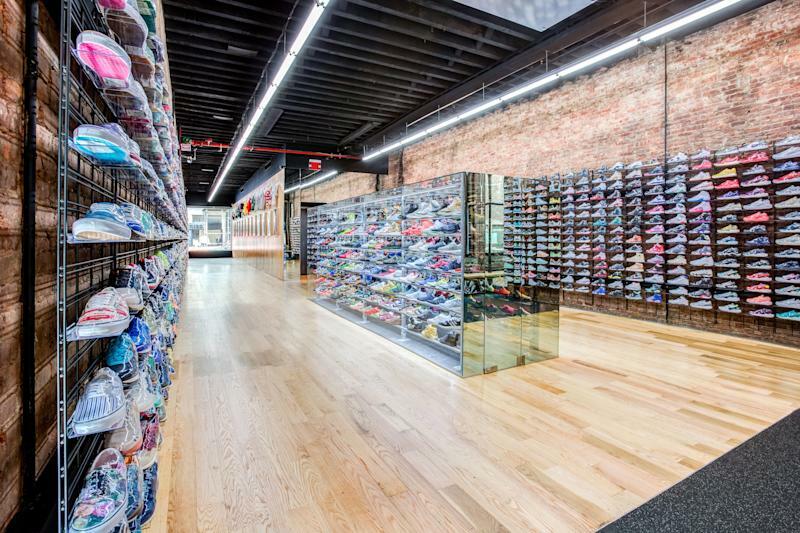 Flight Club has had a hand in growing that overall market. 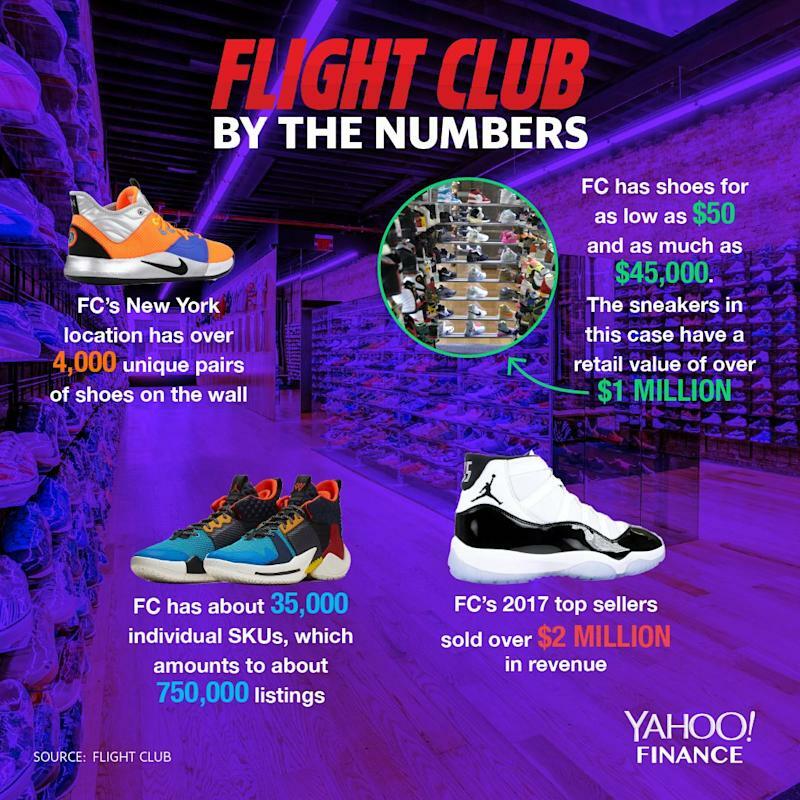 “Flight Club has pioneered the sneaker consignment industry and flipped the sneaker retail industry on its head,” Flight Club's director of consignment Steven Luna told Yahoo Finance during a recent visit. Before shops like Flight Club opened, the sneaker consignment game was like the Wild West. Sneakerheads had to venture out to eBay and other far recesses of the internet to secure a pair of coveted or rare shoes. As many people have found out the hard way, counterfeit goods are plentiful on the internet, and many a sneakerhead has been scammed into spending big money on fake kicks. Back in August, five people were arrested for allegedly smuggling 300,000 fake pairs of Nike sneakers into the New York/New Jersey area. Federal prosecutors said that the scheme cost Nike (NKE) at least $73 million. Flight Club makes sure that fakes like these do not get into its store or into the hands of its customers. “When we opened up, we decided to authenticate every pair, and essentially sold people a peace of mind,” Luna said. Flight Club carries an extensive collection of rare, high-priced sneakers, which it sources from a global network of 150,000 sellers globally — but there is something for every budget at the New York location. The GOAT Group company has two other physical locations in LA and Miami that goes along with its massive online presence. In total, Flight Club offers around 35,000 individual pairs of sneakers, which amounts to about 750,000 listings. That might sound like a lot of shoes, but Flight Club is just keeping up with the healthy worldwide demand for sneakers. 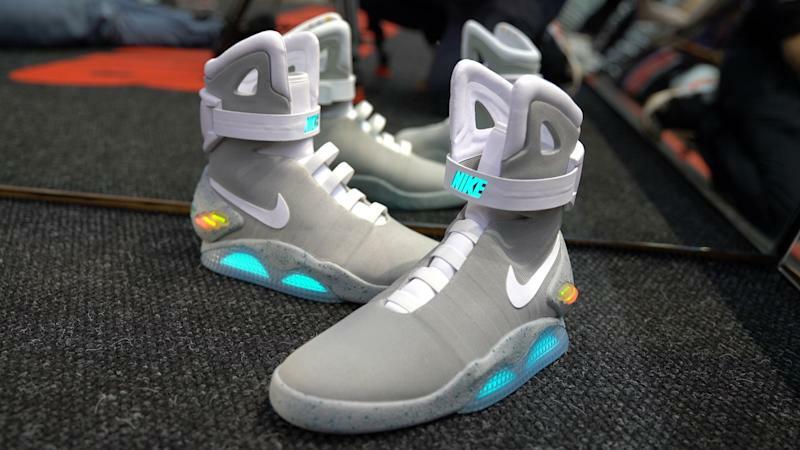 According to Grand View Research, by 2025 the global athletic footwear market is expected to reach $95.14 billion.